Every now and then I see myself on TV while running on a treadmill at the gym. I always laugh, then look around to make sure no one made the connection. No, I’m not a TV personality or part of a show. I’m that reporter in the background on the breaking news live shot. I’m scribbling in my notepad, snapping pics on my iPhone, or nodding my head as I hear the the subject saying exactly what I want to hear. Since 2006, I covered breaking news, courts and crime at the Democrat and Chronicle. My job was tough. I was the reporter who contacted people at some of the lowest, most tragic points in their lives. Fatal plane crash, toddler drowning, fiery blaze that killed a whole family, firefighter shot to death. I’ll never say “I’ve seen it all.” I know I haven’t. Something worse always seems to come along. My daily work life changed in December, I got a new assignment at the paper. I now cover active recreation as the outdoor/adventure reporter at the Democrat and Chronicle. People are actually excited to talk to me about their passions and hobbies. AND I’m having an amazing time exploring everything my community has to offer. I’ve been ice fishing, I rode a fat bike and this weekend, I’m jumping into a 35-degree lake in upstate New York with a GoPro camera. Yeah, I’m not sure what I was thinking when I pitched that one. I’m realizing just how much there is to do in the Rochester region. Snowshoeing, cross-country skiing, boating, fishing and oh yes, I plan to try my hand at target shooting. I feel like I’m taking a page out of Jess’s book to tell y’all that I’m super excited! 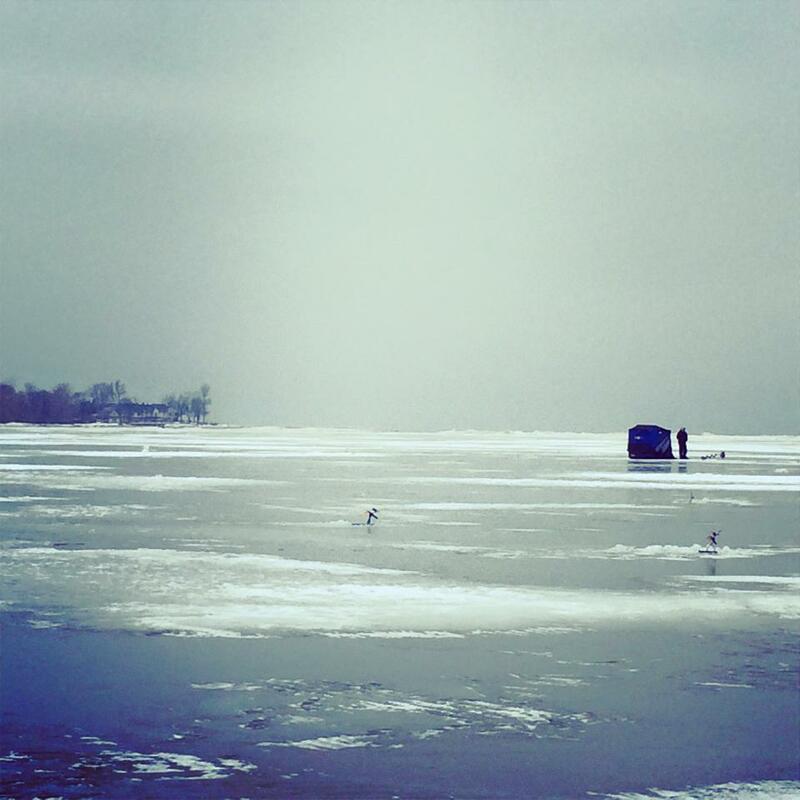 I went ice fishing on Braddock Bay near Lake Ontario. Wearing three layers of pants and four tops, including my ski gear, I attached some yax trax to my boots and walked onto the frozen lake looking for chatty folks with fabulous stories. I sure found them! I jigged a fishing line, sat in a fishing hut and had a blast in my first ice fishing experience. 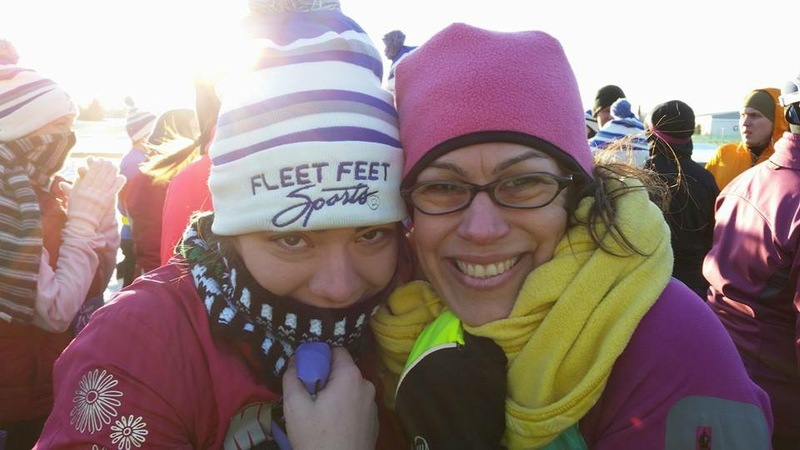 I ran a half marathon in the middle of January, in subzero wind chills. I knew what I was getting into with this one and still it was hard. This race wasn’t one for speed or time. It was all mental. Alllll mental. And I’ll be the first to admit, this one nearly beat me. 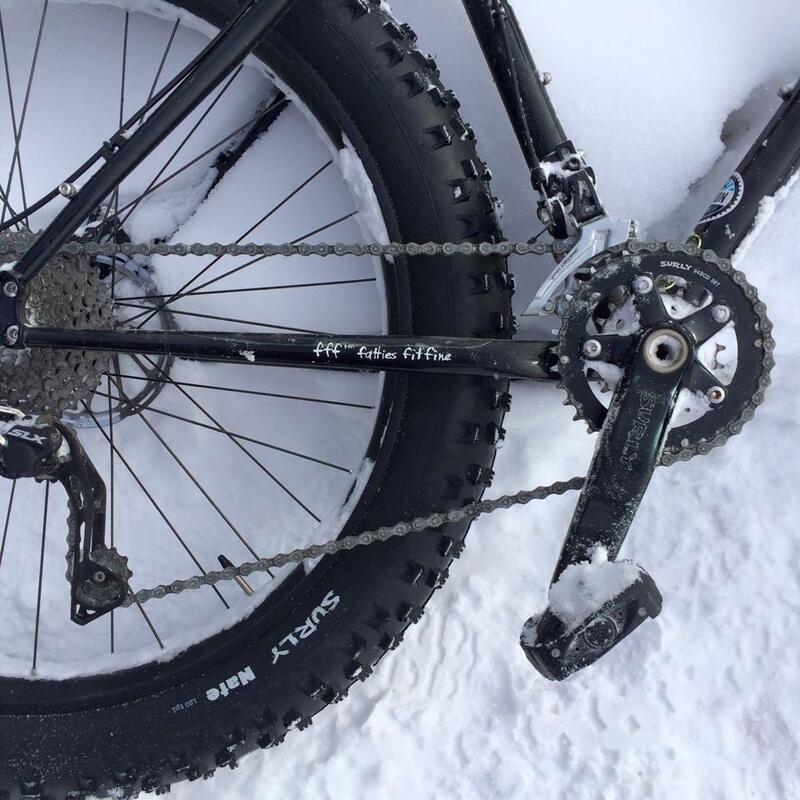 Last weekend, I learned all about fat bikes – those are oversized bikes that allow cyclist to ride on snow and other unstable terrain. I hopped on one in a town park and zipped around a parking lot covered in snow and ice that would’ve toppled me on any other cycle. Fabulous. I also just bought a new road bike for when the snow melts, if you want to know more on the bike I just got click the link above. I’ll add the story link here once it’s posted online. It runs in print Sunday. And I promise to let you know how that Polar Plunge goes. And a hearty thank you to everyone who donated in my honor. The event raises funds for Special Olympics programs in the Rochester region. And thanks to you all, I surpassed my $300 goal! In short, I’m having a blast. But I need more ideas! What would you like to see me cover? No idea is too small (but I do need to keep focused in Western NY.) Please share your suggestions here! If you wish to follow my coverage and fun on social media, here are my accounts on Twitter, Instagram and FB. This entry was posted in Fun stuff, Uncategorized and tagged cycling, half marathon, ice fishing, outdoor, reporter, running, Vic, winter warrior, work. Bookmark the permalink. What an awesome job! Congrats on the new assignment. The only outdoor things I can think of right now are summer activities – you can tell where my heads at! Doesn’t upstate NY have a lot of hiking/waterfall/rock areas? Maybe when it gets warmer you could explore various hiking trails, go whitewater rafting and rock climbing? I was also going to suggest rafting! I went at Letchworth once and it was really fun. I’m so excited for the curling one, hahaha. Tubing? Snowmobiling? Ice skating? Snowshoe trail runs?